This is one of only two undersea stations in the world. It’s 135 metres below the surface. Perhaps the Seikan Tunnel doesn’t really belong in this section, as it's more a case of undersea than underground. 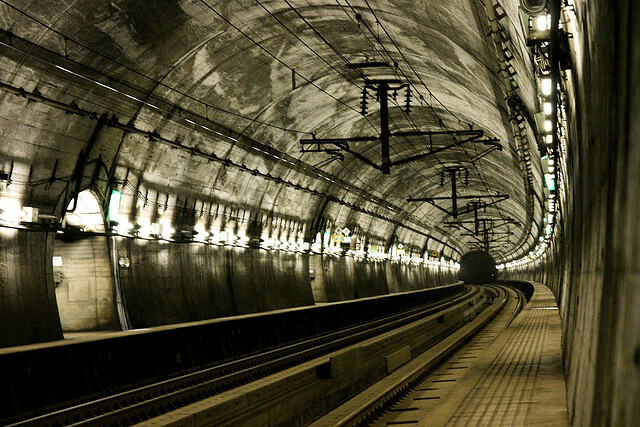 It connects the Japanese mainland (Honshu) to the northern island of Hokkaido, and is the world's longest undersea tunnel. You can experience this wonder of twentieth century engineering while riding a train from Aomori City on Honshu to Hakodate on Hokkaido. The tunnel is 54 kilometres long, and descends to a depth of 240 metres below the surface of the sea. It took 17 years and ¥538,000,000,000 to build, and opened in 1998. As well as regular passenger services, it's used by 50 freight trains a day, as well as sleeper services from Tokyo and Osaka. Work is in progress to upgrade it for use by the Hokkaido Shinkansen (bullet train), which is currently under construction. When complete, the new Shinkansen line will reduce the travel time between Tokyo and Sapporo from ten hours to five, but this project isn't without its problems – not least that Shinkansen trains run on a wider track than other Japanese trains, so the tunnel will need an extra rail to accommodate both types of train. Entering the tunnel from the Honshu side. You can see that the sleepers are extra wide, so there’s enough space to add a third rail for Shinkansen trains, which have a wider gauge. Another problem is that the freight trains can only manage 110 kilometres an hour, which will hold up the Shinkansen, whose speed limit in the tunnel is 260 kilometres an hour. Even worse, a Shinkansen running at high speed creates a shockwave of air powerful enough to derail a freight train coming in the opposite direction. One solution being considered is to load the freight trains onto special high-speed carrier trains for the journey through the tunnel. This would allow them to reach 200 kilometres per hour, and safely pass Shinkansen coming in the other direction. 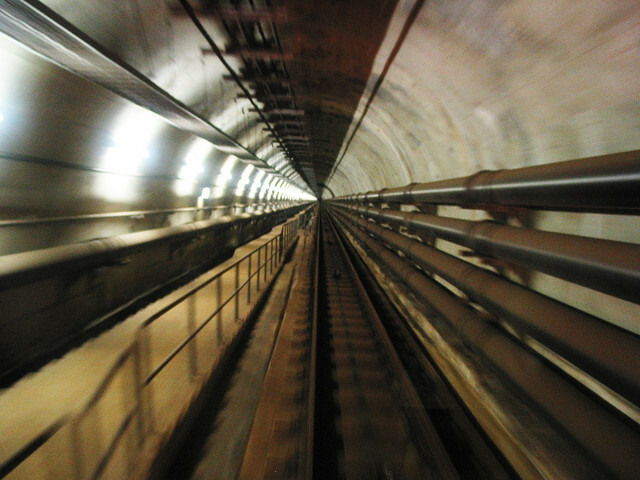 There’s a whole network of access and service tunnels that connect to the main tunnel, and to the surface via a funicular railway. 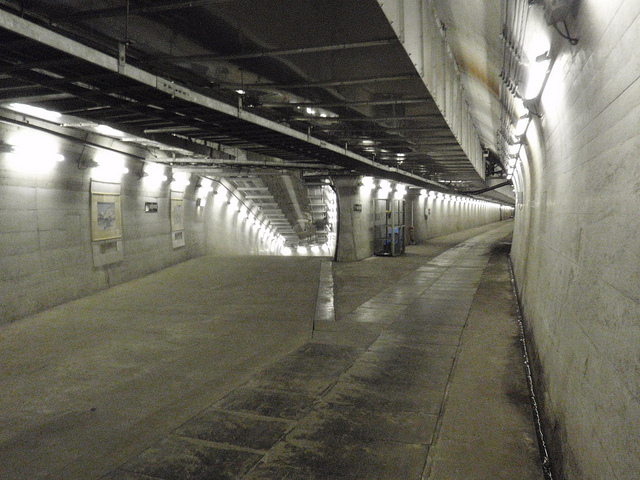 One of the more curious features of the tunnel is the presence of the world's only undersea stations. There are two of these, each connected to a service tunnel that runs parallel to the main tunnel for its full length. The first is about half an hour's walk from the bottom of the Tappi Shako Line, a 778 metre high funicular railway that can whisk passengers up to the surface in just five minutes. These stations were built to evacuate passengers in an emergency, but until November 2013 one of them was served by a handful of trains every day. Passengers could get off and take a tour of the tunnel, then use the funicular line to visit an exhibition centre on the surface, before returning underground to continue their journey. There were even underground photo galleries, and exhibits explaining how the tunnel was built, along with displays of some of the equipment used in construction. Unfortunately the tours were shut down so the stations could be used to help in the upgrade work for the Hokkaido Shinkansen, and they won't be restarted after it's complete, as the Shinkansen trains are too large to stop at the undersea stations. 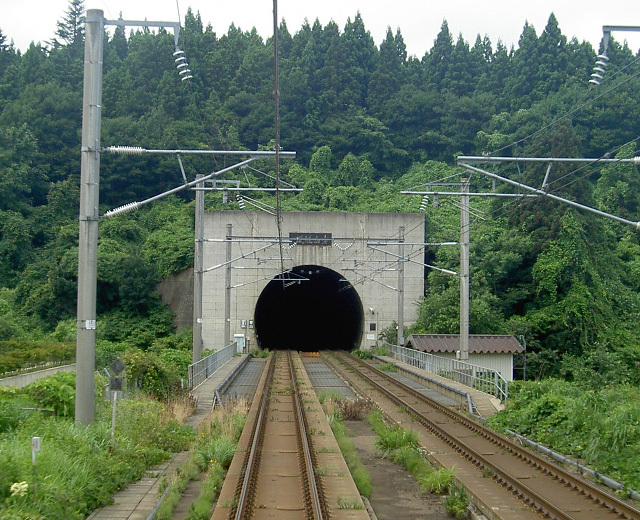 So, there's not as much to be seen as there used to be, but the tunnel remains a marvel of engineering, as well as a handy way to get from one part of Japan to another.